If you're looking for a classy upscale look for your front porch, check out this Main Street Indoor/Outdoor Welcome Mat. This mat was created with a recycled rubber back that is environmentally friendly, great for the Green homeowner. You can display your mat on carpet, tile, hardwood, cement and more, as the rubber back is slip resistant on most floor surfaces. Pair your mat with our indoor tray for a cushion comfort surface that is great for easing stress on knees and feet. You can keep your home decor fashionable indoors or outdoors. 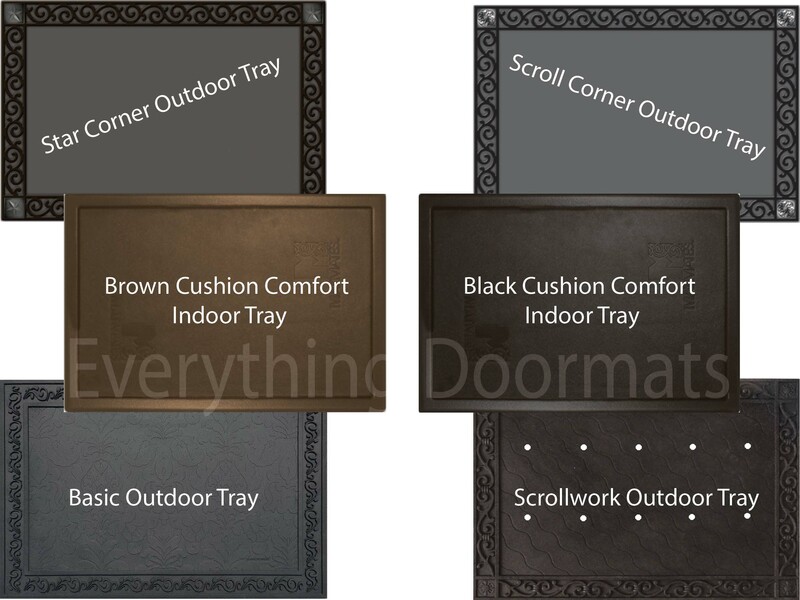 Note: The Main Street Mat is pictured in our Scroll Corner Outdoor Tray. The outdoor trays and cushion comfort trays are sold separately.